Top quality, fresh and flavoursome large and yellow preserved lemons in brine. 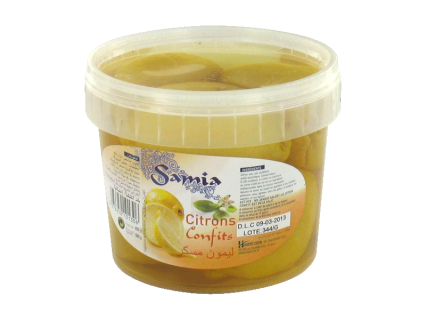 Preserved lemons are typically used in Moroccan cuisine for recipes such as tagines and also work well in fish dishes and add a very pleasant citrusy flavour to recipes. These larger tubs contain 15 – 18 preserved lemons (depending on size) and will be sufficient for several recipes. Storage: Store in a cupboard. Once open store in a fridge up four months. The Good Food Network is now closed for Easter until Sunday 28th April. Orders placed today will reach you Wednesday 1st May. Apply coupon code EASTER15 at checkout to benefit from 15% off all orders placed today.